Poincaré was wrong and... the homoclinic orbits and the splitting of separatrices were born! Indeed, at 1885, the mathematician Mittag-Leffler with the sponsorship of the Sweden king Oscar, planned a mathematical competition. The participants had to make a memoir during 3 years answering one of four questions that the jury (Hermite, Weierstrass and Mittag-Leffler) suggested. The most important question was about the stability (or instability) for the N body problem. Poincaré made an exceptional work "proving" the stability of the three body restricted problem and he won the competition. The winner memoir would be published in Acta Mathematica, hence after minor revisions of the Poincaré's results the issues were printed. The issues were already sent when a crucial mistake was detected. This mistake anninhilate the final conclusions of Poincaré's work. When Poincaré fixed it he discovered the homoclinic points, the homoclinic orbits, the exponentially small splitting of separatrices and established the basic notions about chaos theory. Just as a matter of interest, the corrected Poincaré's work, was published another time and he had to pay the new edition. What is a separatrix?. 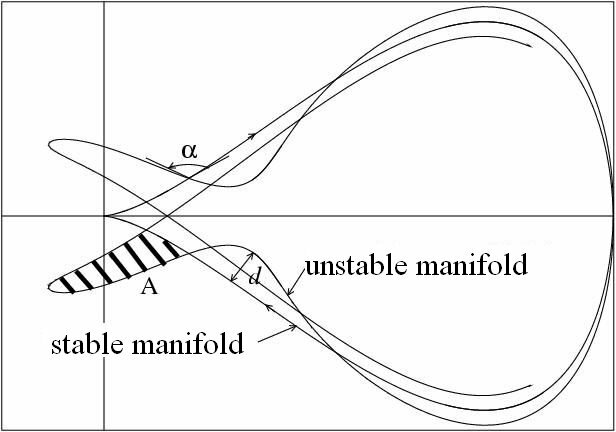 Assume that we have a dynamical system with an invariant object which has associated stable and unstable invariant manifolds and that these manifolds (of some branches of them) coincide. Then we say that this invariant manifold is a separatrix. This name comes from the fact that, in the Hamiltonian systems with one degree of freedom, the separatrices separate different behaviors. 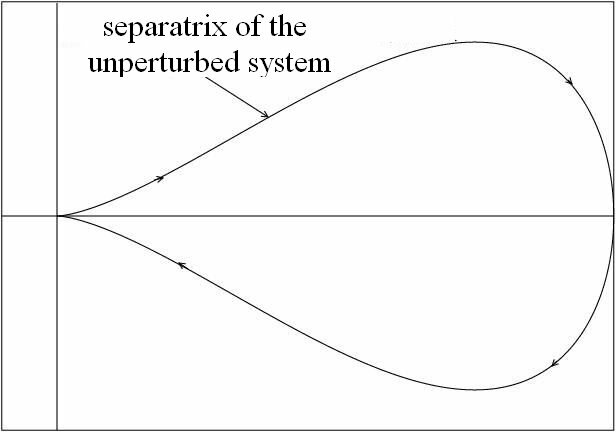 Obviously the separatrices are a very sensitive objecte with respect to perturbations, so when we perturb, generically, the invariant manifolds do not coincide anymore and the splitting of separatrices phenomenon occurs. for the perturbed pendulum (chaos). In the case of rapidly forced perturbations, the splitting of separatrices is exponentially small and hence is a very difficult problem to mesure it exactly. To do so, a lot of techniques are involved: functional and complex analysis, asymptotic developments, Borel-Laplace transform, etcetera. Contact: I. Baldomá, A. Delshams, Y. Fedorov, P. Gutiérrez, J. Lázaro, C. Olivé, P. Martín, J. Morales, R. Ramírez, T. Martínez-Seara.